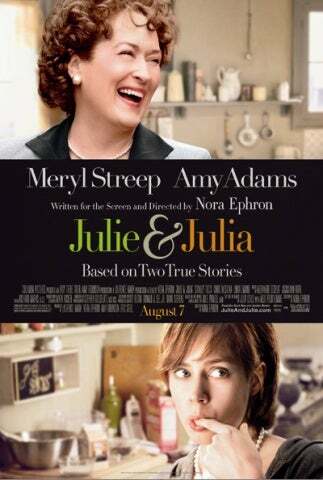 There really isn't any Megan/craftyarchitect project (except for "one a days", which I am in need of posting), but after watching Julie & Julia, I've been inspired. I woke up early this morning, hopped onto the bus and fell asleep blissfully on the bart train. When I reached my destination I realized my friend had called and had to cancel our meet up. So I wandered the streets, picked up travel books about Thailand/Cambodia, ate some Thai food (purely coincidence that I only realized now), shopped at the end (only to find a 25% coupon in the mail today when I got home)... and indulged myself in movie. For any bloggers out there, I'd recommend the movie. Watching the it really made me want to write in my blog like I used to when I knew no one was reading it. Now that people do read it, including people who know me, I'll still have to censor a bulk of my thoughts, but I thought I'd share more substance to my posts! The focus of my blog used to be crafts, then it was photography, then it was other stuff... it's all over the place. But I finally realized the topic and focus of this blog is me. "Hello, my name is 'All Over the Place'. Nice to meet you!"